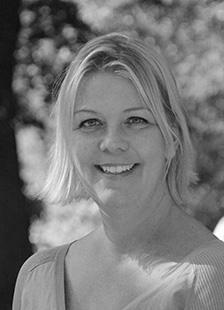 Roxanna Sjöstedt's research and teaching mainly concern international relations theory, securitization, international interventions, norm diffusion, and non-military threats. She is director of peace and conflict studies and lectures and supervises at all levels. She is principal invistigater of the project 'Intervention by Invitation. Why States ask for Help', which investigates when, how, and why states request international interventions to handle domestic unrest. She is also project member of the project 'Warlord Democrats' which investigates threat constructions among former military leaders in Sierra Leone and Liberia. Roxanna has been published in for example Journal of Peace Research, Security Dialogue, Cooperation and Conflict, Foreign Policy Analysis, Journal of International Relations and Development, International Relations, and Journal of Political Science Education. Roxanna Sjöstedt, 2018 Apr 3, In : Nationalism and Ethnic Politics. 24, 2, p. 158-180 23 p.
Roxanna Sjöstedt, Kovacs, M. S. & Themnér, A., 2017 Jul 4, In : Journal of International Relations and Development. 24 p.